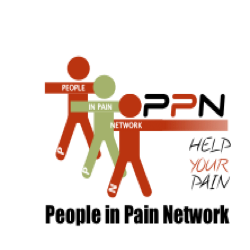 The People in Pain Network would like to acknowledge and thank all those who have supported our mission to provide education and support to people living in pain. Without the generosity of these organizations throughout the past year we would have not experienced the growth we have achieved or been able to help people living with chronic pain. All of the grants from Pharma companies are unrestricted educational grants and the companies have no influence on the information or materials provided by People in Pain Network. A special thank you to our supporters during the past year for their unrestricted funding. 2012 October 19, 2012 Educational Forum, " Evolution of Pain Self Management and the Role Acceptance Plays"
2012 Continued development of the Pain Toolkit self management program and our growth and expansion in 2013. This expansion includes the establishment of local community support groups, the recruitment and training of support group leaders and bringing the Pain Toolkit self management program to people living with pain. 2014 October 25, 2014 Forum on Effective Communication with your support team. 2013 November, Educational forum" Evolution of Pain Self Management and the Role Acceptance Plays and the April, Support group leaders training workshops Part 2.